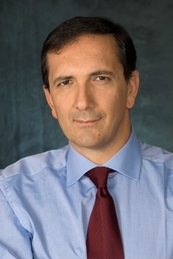 Telecom Italia (TIM) has named Alitalia president and former Wind CEO Luigi Gubitosi as its new CEO, replacing Amos Genish, who was ousted in a boardroom coup last week. Following his appointment, Gubitosi will sit as a non-independent executive director and will no longer sit on the company’s control and risk committee. Gubitosi joined the TIM board in May as part of the changing of the guard orchestrated by activist investor Elliott Advisors. His appointment was opposed by Vivendi, which remains TIM’s largest shareholder with five board nominees including Genish. The way in which Gubitosi was appointed has been sharply criticised by Genish, who told press that it was “absolutely necessary” to revert to a general shareholders’ meeting to approve or reject the nomination of a new CEO and a new strategic plan for the company. Vivendi and Genish had resolutely opposed a plan supported by Elliott to split off TIM’s infrastructure business into a separate entity not controlled by the company, a move that Vivendi regards as tantamount to the dismantling of the operator. However, Elliott’s plan is however close to Italian government coalition partner M5S’s project of creating a single Italian fibre infrastructure company by combining TIM’s network with that of wholesale rival Open Fiber.